Welcome home to this stunning Coventry w/brick & stone elevation in the gated community of White Oak Lake Estates. Home is entertainer's dream w/charming wrap around front porch that beckons you to stay awhile! 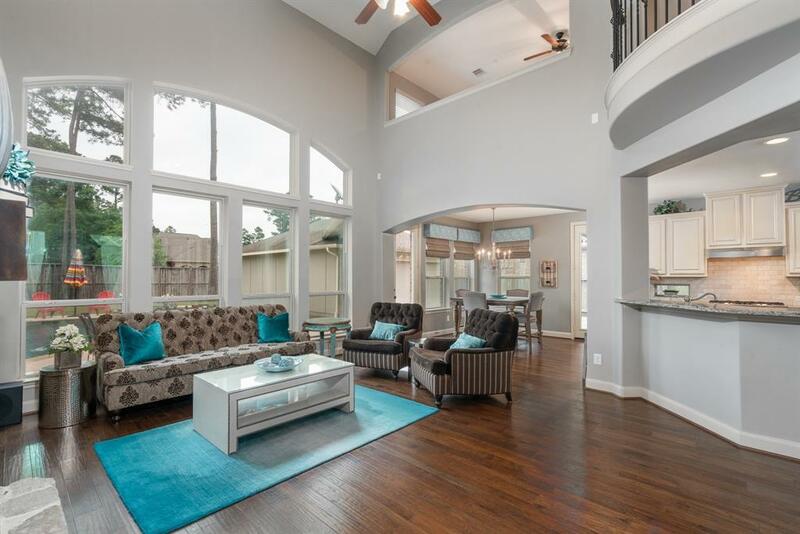 Gorgeous hardwood flooring flows throughout most of 1st floor! Private study w/French doors that accesses front porch! Fabulous formal dining w/wood beamed ceilings! Family room boasts wall of picture windows & floor to ceiling stone fireplace! 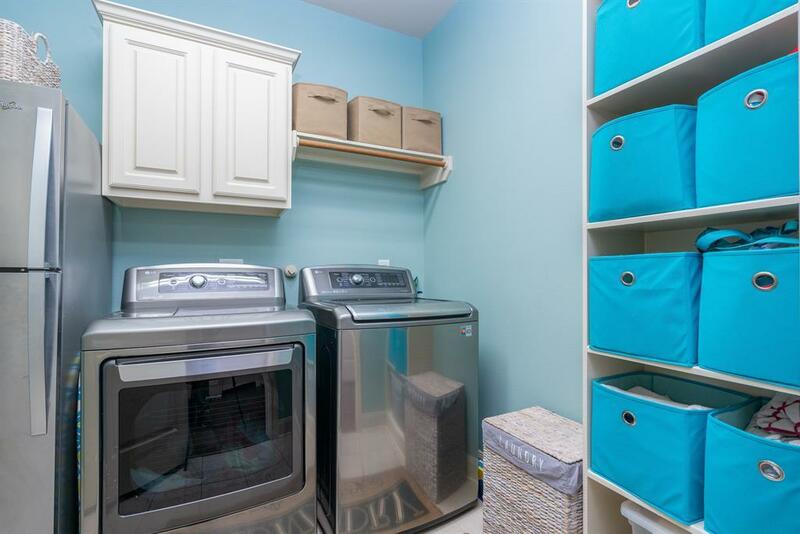 Large island kitchen w/crisp white cabinets, farm house sink, granite countertops & stainless appliances, has direct access from gated porte cochere & backyard! 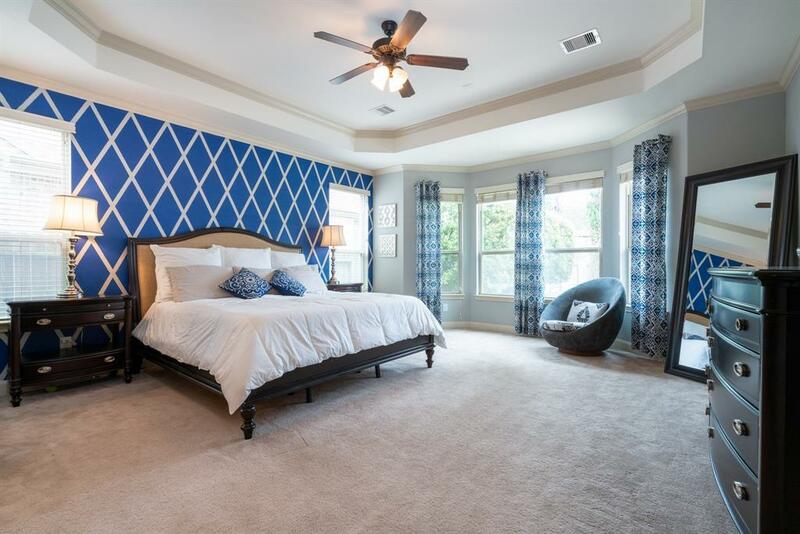 Master bedroom down w/sitting area, en-suite bath w/separate shower & tub! 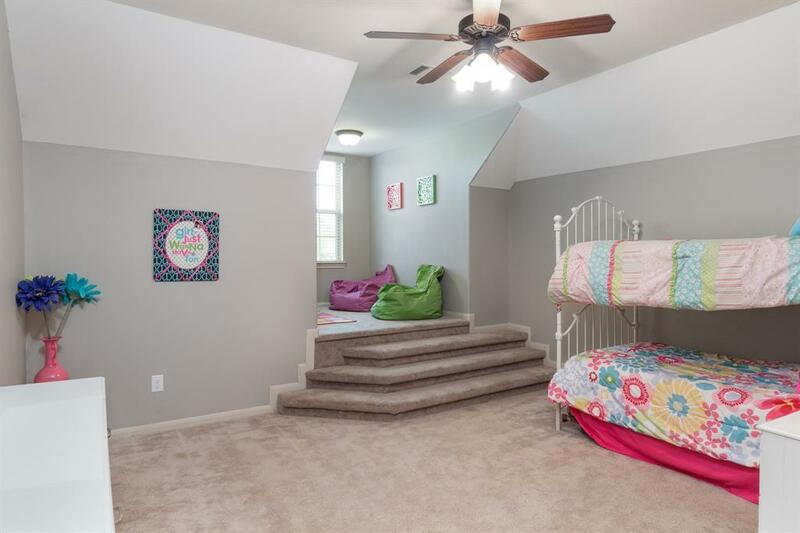 Spacious upstairs features game & media rooms, 3 bedrooms w/2 jack-n-jill baths! Step outside and enjoy the backyard oasis w/salt pool & spa, in floor cleaning system, tanning ledge w/bubblers & stacked stone waterfall that creates subtle ambiance in a private setting. Recent interior paint. NEVER FLOODED.